These Kool-Aid Yogurt Pops are a modern spin on a classic summer treat from your childhood. You may not have been raised on Kool-Aid but I was. Surprisingly I still graduated college and I turned out alright. While I don’t typically stock my refrigerator with the sweet nectar of my childhood I’m okay with my boys getting a glass or two over at Grandma’s and Grandpa’s. I imagine that to my kids it is something like when I went to my grandparents and was always welcomed with a lukewarm glass of Tang with water straight from the faucet. Gasp! Please tell me there are other closet Kool-Aid drinkers out there? This is a safe place where we can talk. I know you serve your children milk and 100% apple juice now but we remember well the exotic flavors of Incrediberry, Strawberry Falls Punch, and Purplesaurus Rex (my personal throwback favorite). Oh Yeah! My dad still LOVES Kool-Aid. Orange is his all-time favorite but Grape is a close contender. Growing up it was always my dad’s job to make the Kool-Aid. I remember the first time I used my emergent-reading and math skills to make the concoction myself. Apparently my dad had been holding out on the sugar because Holy-Mother-of-Kool-Aid-Man that was a SWEET drink! Or maybe my math and/or measuring skills were a tad off. Minor details. I was always sure to leave just enough in the bottom of the pitcher after that incident so that I was not responsible for refilling that plastic pitcher ever again. Too much pressure. I was recently given the opportunity to review the ZOKU Quick Pop Maker. It is some serious fun- let me tell you! If you aren’t familiar with the Quick Pop Maker I can’t wait to introduce you. You freeze the compact unit (we keep ours in the freezer just so it’s ready any time we get the urge) and then you add juice, yogurt, pureed fruit, ice cream, etc. and SEVEN minutes later you have totally customized popsicles! None of this waiting overnight business. I’m so excited to be able to give one of you one of these nifty little gadgets! You’ll also receive the Mini Pop Mold. It is a traditional popsicle mold in that it takes about 4-6 hours in your freezer however the design is anything but traditional. Aren’t these tiny bulbs just adorable? These pops are perfect for little hands. They literally pop right out- no warm water or sticking to the silicone mold. My toddler giggles every time he pulls one from the base! Do you remember carefully filling an ice cube tray with Kool-Aid, wrapping it up with cling wrap, and sticking a toothpick inside? I smile even now thinking of eating those tiny sweet pops on those flimsy toothpicks on hot summer days. Please tell me you did this as a child! I thought it would be fun to update the Kool-Aid Pops of my childhood and give them a little more substance. My favorite way to sneak in some good protein and other nutrients is Greek yogurt so this was the outcome. Use any flavors you want; I used plain Chobani Greek yogurt but feel free to omit the Kool-Aid and use any flavor of yogurt your family loves. My toddler LOVES popsicles. It would not be an exaggeration to say that he eats one almost every day. It is his dessert of choice even over cookies, cakes, and all kinds of candy. His love of popsicles is fierce! This works out pretty well considering his peanut allergy and that most popsicles are a safe choice wherever we go. They’re also easy to make at home which is why I was really excited to try these ZOKU popsicle makers. I hope you love these as much as we do! Kool Aid Yogurt Pops- just like when you were a kid, but packed with protein and Greek Yogurt! Add one squirt of concentrated Kool-Aid drink mix to yogurt and stir to incorporate. I used Plain Chobani Greek yogurt- use whatever yogurt your family loves. I do not suggest adding powdered Kool-Aid. The liquid concentrate comes already sweetened. If you cannot find the liquid concentrate you can omit the Kool-Aid and use your family's favorite fruit flavored yogurt. To enter to WIN this Prize Pack, simply leave a comment and fill out the entry form below. All other Bonus entries are OPTIONAL. By entering this giveaway you are agreeing to the Official Rules. This giveaway is a sweepstakes and ends August 17, 2013. Open to continental USA residents over age 18. Winner(s) will be chosen by random, announced here, and will be contacted by email. Winner(s) must respond within 48 hours to claim the prize. Disclosure: I was given a ZOKU prize pack to review. As always opinions are 100% my own. Would love to try out those pop makers for the great grands! 7 minute kool aid pops?! SOLD. I cannot wait to try this. These look like so much fun, I love the size! These would be great to make a healthy post workout snack! Those little pops are so cute! Such a cute little shape…and the colors are gorgeous!! I live ins Sunny South Florida and the humidity lately is off the charts – these pops will make life a lil more bearable. My daughter would live these popsicles! Can’t wait to try them! These look great! Thanks for sharing! My kids will love them! O.M.G. I must make these right now! Delish. Loooove Kool-Aid! Brings back so many childhood memories 🙂 I love the little round pops–too cute! I’ve had my eye on these for a while 🙂 Lovely idea! I love these! I still get random Kool-Aid cravings sometimes.Which means I need to make these. I loved Kool-Aid growing up too! I love to use it to make fun cookies and play-do with my daughter now! With almost no waiting, this Zoku maker looks amazing! I think I have the same amount of patience as my 2-year old when it comes to treats! Although I don’t have young kids at home, (wish my son would get busy with grandkids), I love the ideas and especially the photography. I’ve been reading up on the Zoku, and it says you have to use drinks with sugar in them. Is that also true for the yogurt pops? I had no problem with the minis sticking. One of the pops stuck in the Quick Pop Maker but I supspect that was because I kept it in there way too long while I was taking the pictures for this post…more like 15 minutes oops! There is sugar in the Kool-Aid concentrate. Oh, I just love the whole idea of these. Great for me, great for the grandkids. Can make some in a hurry or keep some of those adorable minis in the freezer. Couldn’t get much easier either than your recipe of yogurt and liquid kool aid! Thanks for the opportunity to win and for showing me this product and technique. I love popsicles! This would be great! These koolaid yogurt pops look so tasty and they are really cute too. Sometimes you get a craving for a frozen treat, and you want it now. This gadget looks so cool! My younger son suddenly took a inking to freez-y pops this summer, but he had a hard time waiting for them! And usually the urge for them was gone by the time they were gone! This would be a great solution to that problem! I love your idea of doing them with yogurt!! Can’t wait to try…looks wonderful!! The mini pops are the cutest things ever! Is it weird that I’ve never had Kool Aid? I loved KoolAid growing up & I have a drawer full of it now but still don’t let my kids have it all that often. We make it with less sugar too, one day my daughter made it as the package states & whoa was it too sweet for all of us. My kids are teenagers but they still love popsicles, would love to make up yogurt pops. I like the soft colors of the finished popsicles! hmm…you could also use the mold for making candy I would think. Yes- you can! Everything pops out of there so easily. These look so cute and perfect size for my 17 mnth old grandson.Hope we win~!! These sound awesome! So easy too! Great idea! My nieces love yogurt pops! Thank you! These are VERY cute!! Would love to give them a try. You have really brought back some memories with this post, of both Kool Aid drinking days and making freezer popsicles. This is something I really need to do with my grandsons! I’ve had my eye on one of these Zoku’s for sometime.. I’ll be trying the pop recipe the old fashion way for now! These are so cute!! Perfect for summer! Looks fun! My kids always want Popsicles but I am too lazy to make them. This would solve that problem! My twin toddlers would love these Popsicles! I would love the mold. 🙂 either way we will be making these soon! A college student who doesn’t like campus food lol.. I have been wanting to own a zoku for a very long time. Can’t wait to try this cute little doodad!!!!! How cute! Honestly, I’d want the little ones for myself – so I can justify one before dinner, hah. We would love this! Great giveaway! I love your photos, too. Beautiful! I tweeted under the name Karin Muserallo @irysheyes but can’t get it to show up on the entries! Thanks! I totally grew up on Kool-AId. We couldn’t get enough of the stuff. 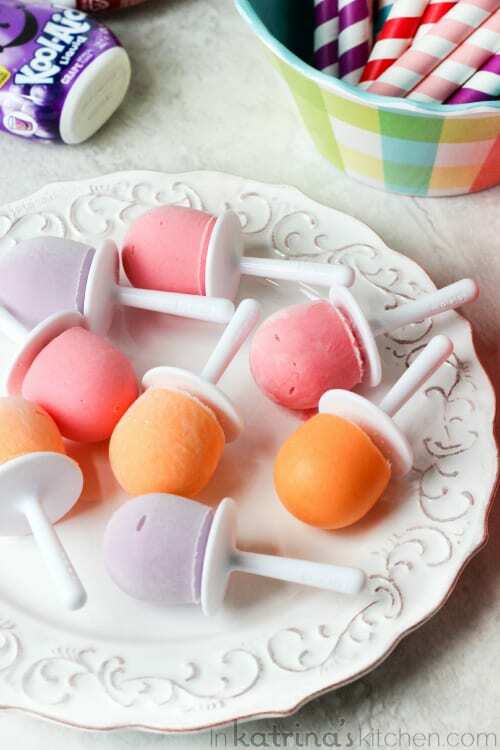 Those mini pops are just darling, and I love this creative recipe. How cute are these! I love the shape! Pre-frozen molds-how innovative! Gotta have this! Love this idea. My son loves yogurt pops and I am always looking for something new to try. The ZOKU pop maker looks like a great product! Oh man! I am definitely going to try this. Maybe my son will finally eat something healthy! Oh my gosh, how cute is the mini mold? my boys would love these. These look fun and fabulous!! My kids would love these kool-aid yogurt pops! It’s a simple recipe that my older ones could make themselves. So fun and beautiful pics thanks for the chance. Looks delish! can’t wait to try these. Oh I would love to have Zoku!!! Thanks! I love these pops and how easy there are to make. Thanks for the chance to enter. I loved kool-aid “ice pops” when I was little too! Looks YUMMY! And in only 7 minutes, wow! These look awesome! Can’t wait to make. I want one of those so bad! They are awesome. My kids would be in heaven. These are wonderful thing to serve to my grandsons! Thank you so much! This looks easy! Didn’t know there was a quick Popsicle maker! I love the sizes of these. They are so cute!! These look wonderful. I can’t wait to try them out on my grandkids!!! Wow, love how quickly you get the finished product!! 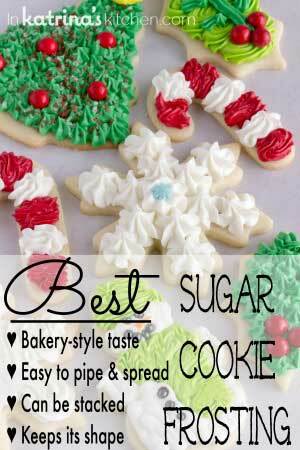 My daughter would love to be able to make these and share them with the kids in the neighborhood!!! Mmm! 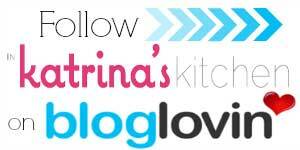 Katrina…..these pops are an awesome idea and love everything you do !!! My favorite throwback flavor was the Sunshine Punch (I think?) – anyway, that orangey citrusy flavor that was loaded with sugar and just divine! I was just having a discussion about this product with my mother-in-law. And kool-aid, oh the childhood memories. If you haven’t yet, I suggest a visit to Hastings, NE, the birthplace of kool-aid and the neat little exhibit they have in their museum about it. OMG I think I fell in love with popsicles all over again! Love this! My little yogurt lover would truly adore this! These popsicles are so cute! My kids would adore them. Thanks for the opportunity to win one! Man oh man, those look so creamy and refreshing! My mom used to practically lock me and my sister outside during the summer, but she always would put a pitcher of kool-aid out on the front step about mid-afternoon with plastic cups. We loved our kool-aid. Especially Grape. The popsicles on this blog are beautiful, I’d love to make them using the Zoku! My children would love for me to make frozen yogurt pops for them and their friends. Thank you for the chance to win the Zoku. These are so cute! And easy for little ones to help with, too! Such a fun giveaway! Crossing my fingers that I win! Great giveaway!! I love the mini pop molds!! Great idea! Those mini molds look perfect sized for my teeny tot! Ah Kool-Aid, the drink from my childhood, love it! 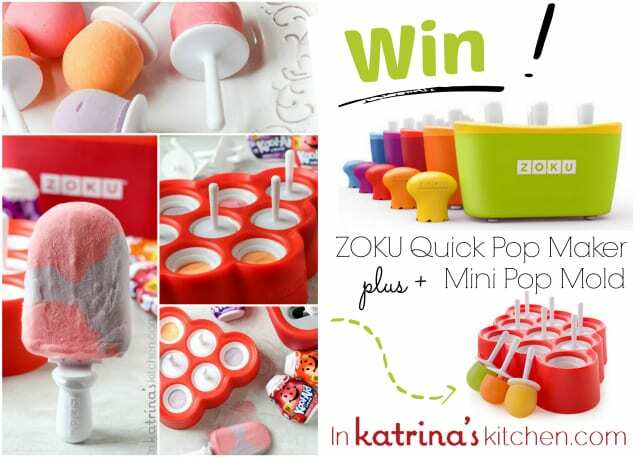 The mini pops are so cute, I would love to try a ZOKU pop and would definitely try the Kool-Aid Yogurt pops. So cute! I confess I give my kids kool-aide but I don’t like it! I love this post! Grape kool aide is still my favorite to this day! When I was pregnant I could have drank it by the gallon icy cold. Forgotten all about doing the ice cube trays with a toothpick -those were the best! These look yummy!! My 3 yr old would have so much fun making these. She loves mixing stuff together!!!! Those look amazing! I would love to try them! This would be wonderful to make with my 2 grandsons! My little ones will have to wrestle their mom for these yummy treats! I have been wanting a Zoku for a long time. I bought one for my nieces but resisted getting myself one. My husband loves Kool-aid. We always have a pitcher of it in our fridge. My friends kids love my house, because we have the “blue drink”. Hope I win…the kid in me loves popsicles too! 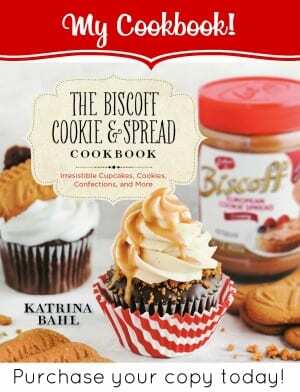 Oh my goodness, I can’t wait to make these with my daughter and share with my friends and family! Thank you so much for sharing…I have to admit that my mouth starts to water just looking at them…yum! Sadly, I have never made home made popsicles for my girls – this is a must try! I love these pops! Ive been eyeing them for a while! These popsicles look wonderful! Will definitely be giving these a try. I’ve been wanting one for so long! and the mini pops are too cute! I am an outright kool aid lover! The only thing that bugs me about it are the red mustaches. ;). That being said I don’t often have it in the house. However yummo Popsicles might change that! Normally I am not a fan of Kool Aid but those actually look really good. My kids would LOVE these!!! Can’t wait to try this! Now I NEED a ZOKU! OH MAN I was such a Kool-Aid hound! I still love it! I remember when I was a kid (90’s-00’s) they came out with a weird one…the powder was one color, the drink another, and the flavor didn’t match the color. So like, grape (my favorite) was actually a red liquid. And thanks to one of those weird mental things, I swear it didn’t taste like grape! Anyway, I’ve never thought of adding Kool-Aid to yogurt…I’m totally sold and must try this immediately. My kid would LOVE this!!! Man I haven’t had kool-aid in so long! This post is sort of nostalgic! Oh my gosh! My kids would go crazy for this! The first thing that caught my attention was the shape of these pops. 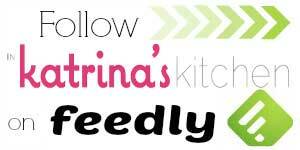 The recipe will be fun to make for the kids and the potential to win a giveaway is always fun! The pop look delicious. I love the pop molds you used! Is it wrong to totally want this for me, rather than my girls? They are just so darn cute. The little ones look like ring pops. These pops remind me of the pudding pops my Mom used to make. YUM! Thanks so much for the reminder – can’t wait to make some for my kids, these too, they look too yummy not to. I used to drink Kool- aid ALL the time when I was a kid. What an awesome way to use it beside a drink, I will have to try this. These are so stinking cute! I love the size of the pops & how the mold works! My little ones would love this! Adorable! Just love the mini! What a perfect size for those little mouths and hands! My girls love making ice pops. This would be perfect. All these pictures look wonderful!! We always drank kool aid as kids and I still drink it at 25! Never was it ever made with full sugar. If one of my siblings had to make it we would try full sugar sometimes but then we never liked drinking it!also I love freeze pops as much as your son! So this is the perfect giveaway for me. Love the shape of these molds. They look like a lot of fun to eat! Thank you for the great idea! My daughter loves to freeze yogurt and this will allow her the additional flavors, I cant wait to make these with her. Love your site!! The yogurt pops look great. I’m always looking for healthy tasty snacks to give the grandkids. using koolaid for popsicles is genius! This is a good make ahead snack that you can prepare after a nice day outside! Love it! LOVE this idea! I hope I wins I can try it out myself! We have the single Zoku. Last week it was so hot, I just took some OJ and made a simple refreshing pop! Loved that it only took minutes! Never would have thought to use yogurt and Koolaid. My son loves both and will love trying these I think! Can’t wait to try these! They look yummy! What a great idea! I can’t wait to try this! We used to make the famous ice cube popsicles when I was younger and sell them to the neighbor kids at our lemonade stands! We loved them, and I can’t wait to do that with my kids! That looks way good! I can’t wait to try that at home!! I want to try this.my nephew would love them. Definitely a Kool-Aid kid – and just bought my first squeeze Kool-Aid flavor (which I took to work, so definitely for me!!) can’t wait to try these popsicles. This makes me wish that I was six years old again!!! Who would have thought KoolAid and Yogurt?? Sounds great and my kids love anything with KoolAid! We were big time KoolAid drinkers when I was just a pup. And we froze many a Dixie cups full with it and made our own Popsicle. Never would have thought to add yogurt. What a great and easy idea!! So cute, and faster too! These look delicious!! Good luck to all!! Great idea, and fun for the family on hot days. These are so much better than the Otter Pops my son is addicted to. I always forget to freeze more, and it is so hard to convince a 6 year old to wait 5 hours for more pops! These look awesome! I grew up a kool-aid drinker too! Who could resist a popsicle made with these molds? Young or old would love one of these. I’m already smiling just thinking about eating these with my sons! Yum! I’ve never heard of these before. They look very cool! Everything about this post is happy and fun! I would love to be able to make no carb options for my 7 yead old with Type 1 diabetes. The commercially available options are woefully inadequate. We used to make homemade Popsicle or Fudgsicles years ago. I would love to try a creamy coconut Popsicle or something with yogurt and fresh fruit. Ive never seen the mini pop maker before! They are so cute! very cool products! I can’t wait to try them out. This looks absolutely amazing!!! Would love to do this as a fun project for me and my girls!! Wow! These are super cute and easy! I can’t wait to try this recipe out. Those look delicious! 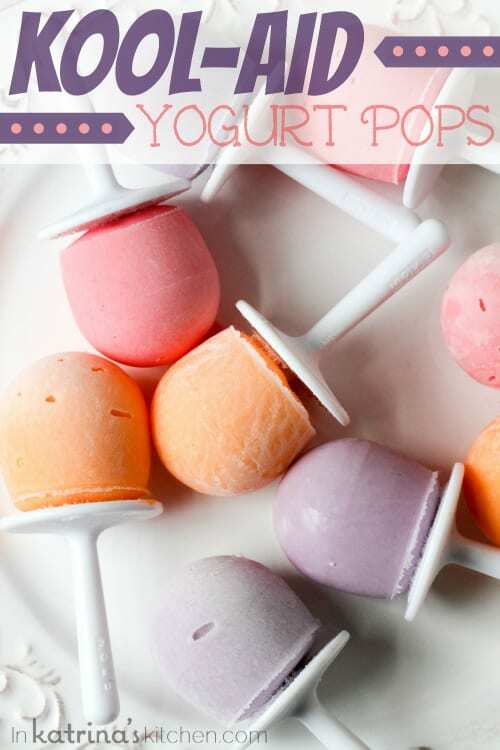 Love the idea of yogurt pops! Oh! I want these SO bad! ! ! They are so inviting and so cute! 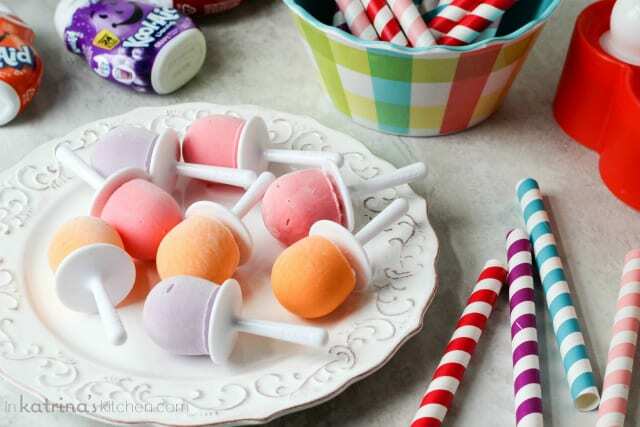 I LOVE the mini yogurt pops…so cute and so EASY! 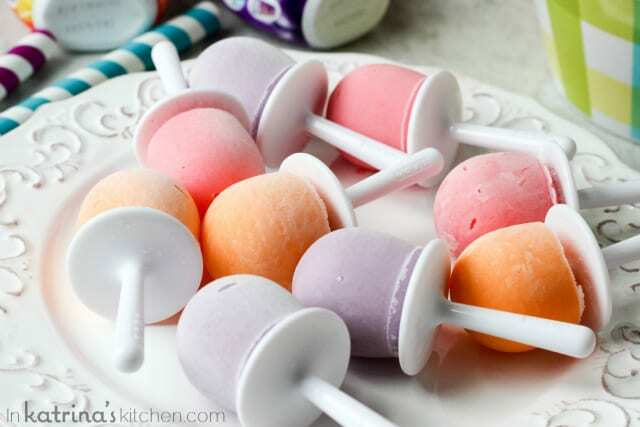 I love these Kool-Aid Yogurt mini pops, I am always looking for easy treats for the grand kids and these are just the perfect size Thanks for the post it is such a good idea and the kids will love the kool-aid flavors. 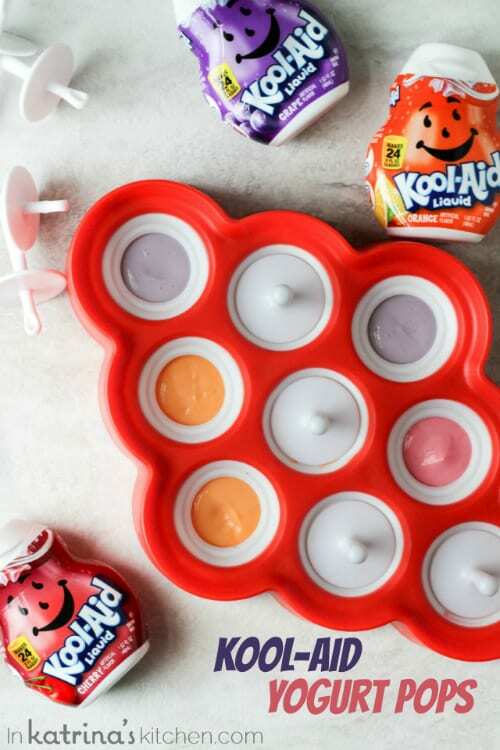 My kids always loved Kool-Aid and now my grandchildren do too as well as yogurt so I know if we had the Zoku set we’d be making them all the time. As it is we’ve frozen yogurt in the cups and have frozen Kool-Aid in Dixie cups, with the Zoku we could combine the two at one time! THEY’D LOVE IT!!! These look delicious! I love the little pops and think it’d be a great way for both the kids and grown ups to get some healthy yogurt in. I think these would be perfect to make grown up Creamsicle Pops with orange Kool-Aid, vanilla yogurt and whipped cream flavored vodka. OOPS – Did I say that? Oh, snap – I’m throwing that together this weekend to see if it works!!! Thanks for the inspiration, LOL – love ya girl! Love the yogurt with Kool-aid pop idea & the ZOKU products look awesome! These sound awesome, and the pop makers sound awesome too! My little girl is in love with popcicles as well!! Hopefully she wins!! 🙂 Thanks for this great post! I love it this way of making popsicles is great, i used to make mine by putting oj in an ice cube tray and freeze it. And I still drink kool aid. These look absolutely delicious-especially for the hot days of summer! My kids would just love them & can’t wait to make them for them! I have wanted to try the Zoku quick pop maker. It looks like a lot of fun and no waiting. This think looks really cool. I’d love to win it! My son would love those cute popsicles!!! Oh my gosh I love the minipop maker and have to have one!! My girls would flip for those! Love the recipe and the whole concept of making a popsicle in 10 minutes!!! Thanks for the givaway! These look so yummy! I love making pops and just got a book all about recipes for fun pops! The tiny ones are so cute! Perfect size. Zoku looks like fun, but it’s so expensive! I want the little pops especially for my teething baby. She loves eating anything frozen! These are the cutest little things!!! I would love to get some! I have 2 toddlers and a preschooler who would enjoy these very much! Definitely gonna have to try them before summer is over! Thanks for the opportunity! No closet kool aid drinkers here we are out and proud;) lol lemon lime is still my favorite. As a matter of fact when I was pregnant with Justen I went to Giant Eagle in town and they were out of my green drink of choice. I was so distraught (I was 6months pregnant) that the next time I came in the manager had a whole box just for me;) And he gave them to me happy prego!! These are super cute would love to win!!! Katrina, I just love you and am amazed at your talent! I miss seeing your bright smile and hearing your giggle. I will be spending some serious time on here! Lovely colors! Super cute cant wait to try them! Such a great idea!! Would love to try this with other flavorings too! I really like the idea of these having yogurt in them. I think they would be fun to make, and the kids would enjoy eating them! I would love to try these. I never allow enough time to freeze my popsicles and this product would be great! Those are the cutest little Popsicles ever!!! I make yogurt popsicles in small plastic cups. These prizes would be fun to have! What a great product! I too remember summer days with Kool-Aid rimmed lips as a child (my favorite was Black Cherry!). I still drink a lot of kool-aid and have my daughter drinking as well. I can control the sugar content so I know it’s better than soda. Love that I can make these! These look so cute and yummy! They would be fun to make with the kids. They look so cute and just the right size for little hands, also having fun to experimenting with flavors. Thank you for bringing these pops to my attention! Such a neat idea! My sister and I used to make the ice cube Popsicles w everything-koolaid, juice, root beer! Love the size and shape if the mini pops. This is awesome, my kids would flip! those tiny ones are adorable. i’ve been coveting a Zuko for over a year now, I love seeing what cute creations people come up with. These tiny pops are so cute! They are giving me inspiration to make some myself! 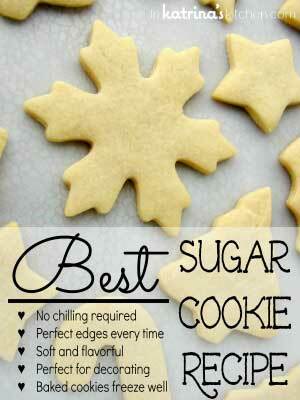 Wow these look amazing and so easy to make!! My toddler would love them! Those look delicious. Going to have to make these for my 3 year old. Yum, these sound so good!! Would love to try this out! Love the nostalgic feel of homemade pops! Oh my gosh these frozen treats are so fun. These are adorable! My kids would love these! Thank you for stopping by! So glad to have you following along. So neat! Would love to win. I think the greek yogurt idea is great for a change from juice and I would love to win the popsicle makers. I dont buy the liquid, but had the sweetened in the house. Added a little to vanilla greek yogurt. Its so good. Really takes away the yogurt taste. I am going to try freezing and also try the unsweetened powder and liquid. I was the “official” Kool-Aid maker at our house. We always had a 2 gallon container of Purplesauras Rex in the fridge for my dad. My parents still do! It’s grape lemonade 😉 One packet of each, tastes exactly the same. These frozen pop look awesome! Thanks!